The fourth and final starting day of the 2018 partypoker LIVE MILLIONS Germany €5,300 Main Event saw more than 130 players in their seats in the second level of the day and once the registration had closed, that number grew to astonishing 415 entries to make Day 1d the strongest flight of all. In level eight, Dusk Till Dawn's Simon Trumper and president of partypoker LIVE John Duthie could confirm to all poker enthusiasts in the King's Casino in Rozvadov that the gross guarantee of €5,000,000 had been reached and the total attendance stands at 1,014 entries, of which fewer than one third, 324 participants to be exact, remain in contention. After 12 levels of 40 minutes each, only around 131 players bagged up for the night with several familiar faces near the top of the leader board. Ultimately it was local player Ondrej Drozd that claimed the lead with 9.83 million and the Czech will be second in chips when the cards get back underway for Day 2. 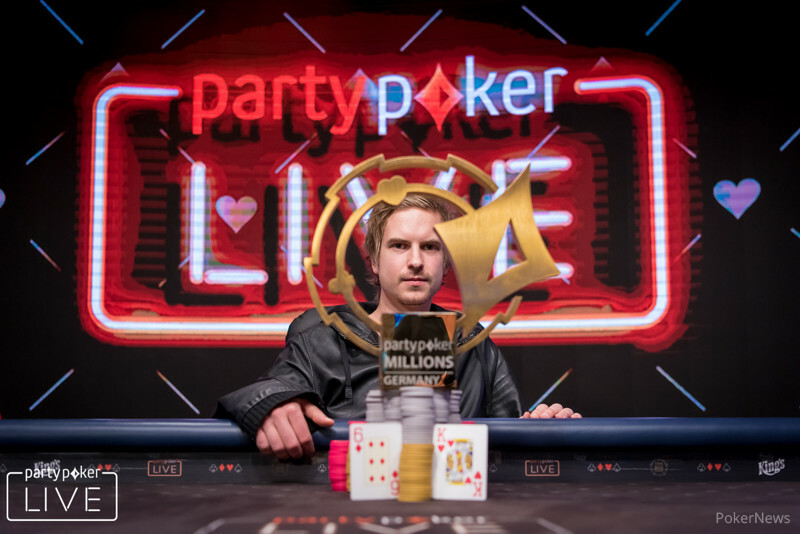 Pavel Plesuv (8.5 million), Vasyl Penteliuk (8.385 million), Dean Hutchison (7.7 million), Robert Cowen (7.485 million), Robert Kokoska (7.320 million), and German poker superstar Ole Schemion (6.635 million) all claimed big stacks to their name as well. Among further notables that made it through after failing to advance via previous starting days were Sergio Castelluccio (5.535 million), Triple Crown winner Niall Farrell (5.3 million), Vlad Darie (5.275 million), Felipe Ramos (4.620 million), James Akenhead (4.085 million), Michal Mrakes (3.615 million) and MILLIONS Nottingham champion Maria Lampropulos (2.1 million). Three partypoker representatives advanced on Day 1d in Roberto Romanello (2.6 million), Dzmitry Urbanovich (1.225 million) and team online's Renato Nomura (465,000). However, their teammates Marcel Luske, Johnny Lodden, Anatoly Filatov and Joni Jouhkimainen all fell short in their attempt to run up a stack. Other big names that bowed out before bagging and tagging include Alexandre Viard, Sebastian Langrock, Jack Hardcastle, David Lappin, Daragh Davey, Dara O'Kearney, Daniel Wilson, Jan Bendik and Andrej Desset. 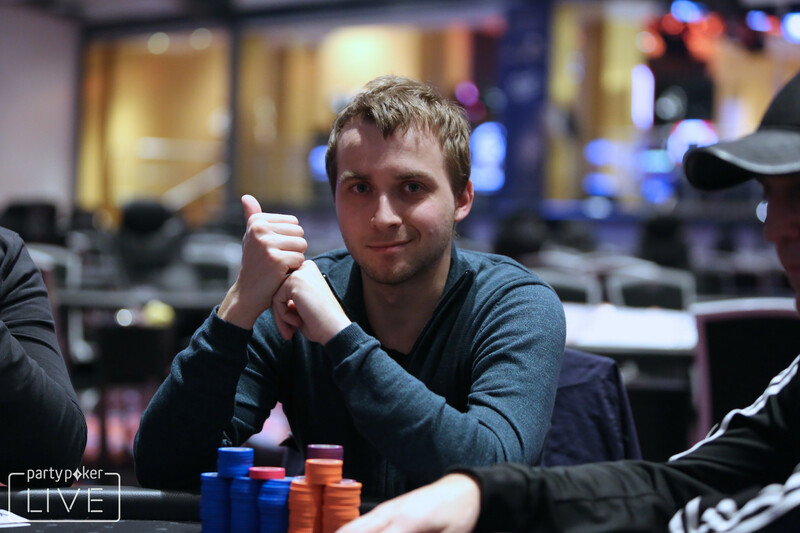 Czech master of speech play Martin Kabrhel was eliminated in the last hand of the night when his ace-deuce failed to get there against the pocket jacks of Norson Saho. 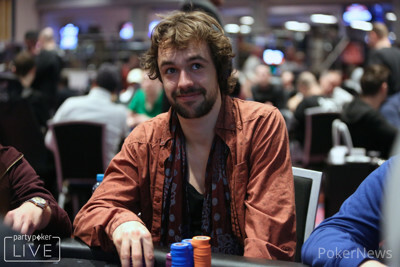 Viard was victim of a flush over flush setup when the Frenchman flopped an open-ended straight flush draw only for Federico Petruzzelli to turn over ace-king suited for the nut flush. The miracle two-outer never arrived and that was it for Viard. Drozd first appeared as bigger stack mid-way through the day after scooping a big pot with rivered two pair against Mikalai Vaskaboinikau and jumped above ten million chips in the last level of the night when turning a full house against an opponent with trips. The Czech prevailed at the top of the counts despite the late surge of fellow countryman Kokoska, Pavel Plesuv and Vasyl Penteliuk. All survivors of the remaining four starting days will combine to one field and the level duration as of Day 2 will increase to 60 minutes each. The money bubble will burst throughout the day and the action resumes at 12 p.m. noon local time with level 13 and blinds of 35,000/70,000 and a button ante of 70,000. The PokerNews live reporting team will be on the floor to provide all the action from Europe's biggest poker arena until a champion is crowned this upcoming Sunday.